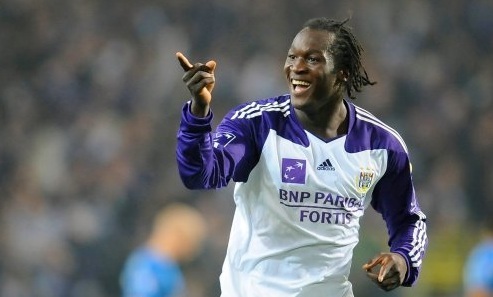 Chelsea have officially launched a bid for Anderlecht youngster Romelu Lukaku, according to widespread reports. At 18 years of age, Belgium international Lukaku fits the profile of player that Chelsea are looking to target as they bid to overhaul an ageing playing squad that finished a distant second to Manchester United in the Premier League race. Powerful striker Lukaku, valued at £20m by his club, has been widely touted as the natural replacement for Didier Drogba who, at 33, is entering the twilight of his career. Despite his tender years, Lukaku has already scored twice for his national team, enhancing his reputation one of the hottest prospects in European football. He netted 15 league goals in 2009/10 to help Anderlecht win the Jupiler League title, while last season he scored 16 goals from 37 appearances as his side finished third.